Pittsburgh Steelers quarterback Ben Roethlisberger told reporters on Wednesday that he isn't concerned about his bruised right elbow and doesn't expect to miss any games. 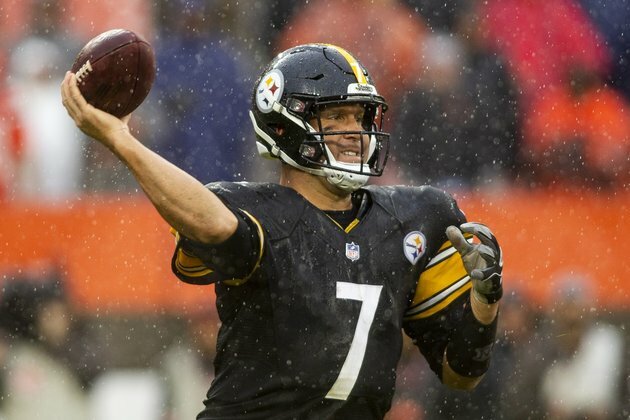 "I don't plan on it," the 36-year-old Roethlisberger said on Wednesday, four days ahead of the Steelers (0-0-1) facing the visiting Kansas City Chiefs (1-0). "Maybe just today, but that's a typical Wednesday for me." The six-time Pro Bowl selection did not confirm or deny whether he received an MRI, per multiple media outlets. Roethlisberger completed 23 of 41 passes for 335 yards with one touchdown and three interceptions against the Browns. He also lost two fumbles on sacks. "I tell you what, that's last week," Roethlisberger said, per ESPN. "We can look at it but you've got to move on, because you've got a game this week. We did our film study on Sunday and Monday, and now we're moving on to Kansas City. We've got to focus on that."